Before the early 1900s, the American chestnut was the predominant tree species in eastern forests. Today, more than 100 years after a blight forced it into extinction, scientists are resurrecting this once-great tree. Once, their creamy June bloom so festooned the eastern hardwood forests that they looked from afar “like a sea with white combers plowing across its surface,” wrote the naturalist Donald Culross Peattie. That annual exuberance of the American chestnut began fading from the landscape around 1904, when a blight imported on Asian chestnuts began rampaging from Maine to Georgia. By the 1950s destruction was complete. Of literally billions of chestnuts growing in the tree’s historic range when the blight hit, only dozens of pre-blight survivors struggle on in the wild today. Far more numerous are chestnuts that sprout from the roots of felled forest giants, only to die in a decade or two from the deadly fungus that may never go away. 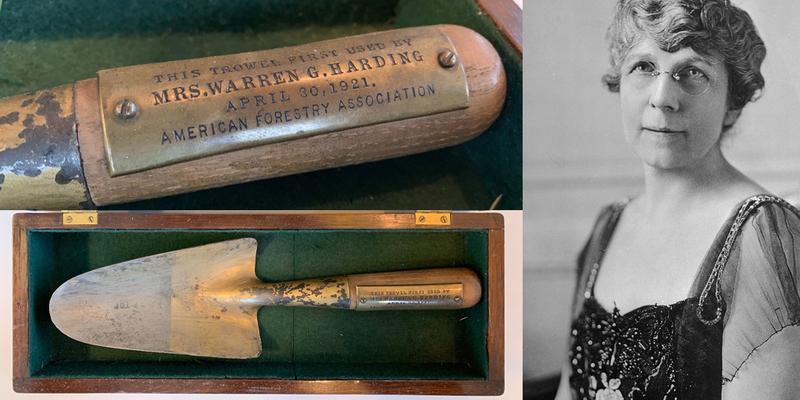 But now comes the best hope in over a century for restoring the species that once comprised a quarter of all eastern hardwoods, with economic and environmental values unmatched by anything in today’s forest. 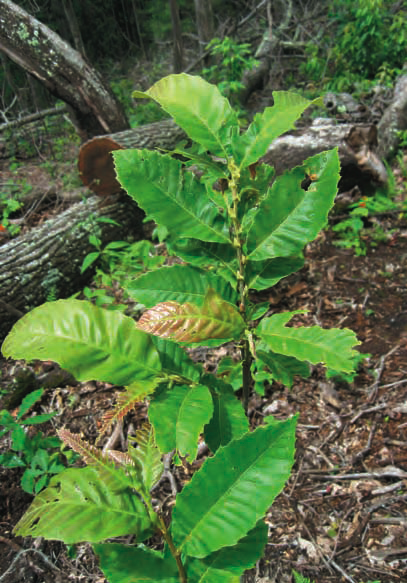 A modest but historic planting of several hundred little chestnuts has completed their first full growing season in the wild on U.S. Forest Service lands in Virginia, North Carolina, and Tennessee. The little trees represent the sixth generation of a breeding program begun by the 6,000-member ACF in 1989. Only hundreds of latest-generation nuts have been available to date, but this fall’s harvest was 13,000, and the numbers will grow geometrically. 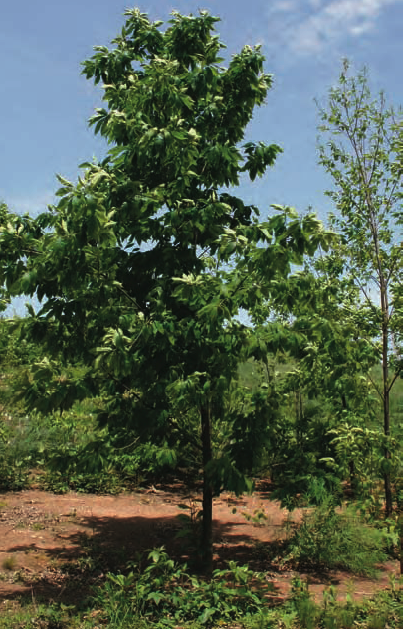 With this latest hybrid, unofficially dubbed the “Restoration” chestnut, breeders feel they have a tree with enough of the Chinese chestnut’s natural blight resistance to have a shot at surviving; but also a tree that is virtually indistinguishable in form, growth rate, and wood quality from a pure American chestnut. Approximately 15⁄16ths American and 1⁄16th Chinese, “It’s probably not the best tree we can achieve, but it’s good enough to start planting,” says Kim Steiner, director of Penn State University’s arboretum, and a science advisor to the Chestnut Foundation. Planting will continue in national forests. And next spring in Pennsylvania’s Westmoreland County, about 500 more of the blight-resistant chestnuts will be planted on a private, cutover forest plot, Steiner says. This planting, at a place fittingly known as Chestnut Ridge, will intersperse the chestnuts with other native species — white pine, red oak, black cherry, sugar maple — “the first attempt to see how they compete in a real-world situation,” says Sara Fitzsimmons, another chestnut researcher at Penn State. The main concession to how the forest has changed since the chestnut last dominated will be a sturdy deer fence (“Please, make deer reduction the lead of your story,” implored one chestnut breeder). 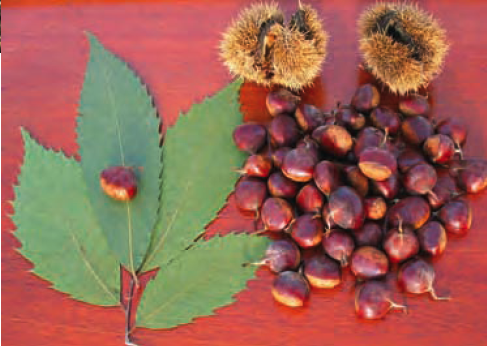 While the Chestnut Foundation’s new, resistant trees are the first soldiers to be deployed against the blight, other ongoing programs could soon bear fruit: a chestnut genetically engineered for blight resistance; genetically altered strains of the blight fungus itself that weaken it; and, farther from success, breeding a pure native with resistance by crossing old survivor chestnuts to one another. If there was an “Aha!” moment in bringing American chestnuts back this far from the brink, it came around 1980 when Charles Burnham, a corn geneticist, read of the shutdown of a decades-long, failed attempt by the U.S. Department of Agriculture to breed a resistant chestnut. Burnham had always assumed that program, which crossed thousands of American and Chinese trees since the 1930s, would eventually succeed. 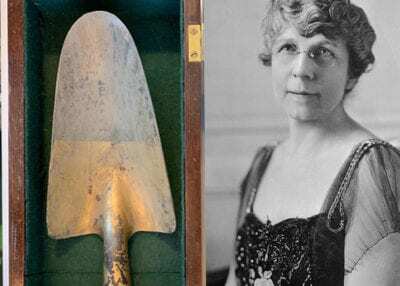 Reading the USDA’s published results, Burnham was shocked to realize that its scientists, including future Green Revolution Nobelist Norman Borlaug, had ignored a basic tenet of breeding resistance into crops. The key is a concept known as backcrossing. You cross Chinese and American parent trees, then breed successive generations back to the desired (American) parent, eventually winnowing out all the undesired Chinese characteristics (shrubby growth, for example) except for its disease-resistance. Backcrossing was how the King Ranch bred its famed Santa Gertrudis cattle to produce excellent meat while surviving the harsh south-Texas environment. The USDA had been crossing American to Chinese chestnuts generation after generation. After decades, their closest success was a single hybrid, dubbed the Clapper tree after its breeder. Between 1946 and 1963 it grew arrow-straight and tall like an American chestnut, reaching 76 feet before succumbing to blight in 1976. Burnham and other scientists in 1983 founded the private, nonprofit American Chestnut Foundation to carry out a scientific program of backcross breeding. They anticipated the effort would, after several generations, produce a chestnut fit for recovering a vanished part of the American landscape and heritage. The loss of the chestnut was an ecological calamity with few equals. The extinction of the passenger pigeon, and the near extinction of bison — all around the same time — were in the same ballpark. Chestnuts dominated eastern hardwood forests not only in numbers; an estimated three to four billion trees across more than 30 million acres. Known as “redwoods of the East,” chestnuts grew fast and big, and lived long, reaching 100 feet in height, with diameters exceeding 12 feet, and attaining an average age of two to three centuries. Their bold-grained, blondish wood was strong, easily worked, and extremely rot-resistant, used in everything from barn timbers to pianos, split-rail fences to fine furniture (in which it was often veneered with more fashionable woods like mahogany). It was beloved by timbermen for re-sprouting readily from the stump and reaching diameters of two feet or more in little over half a century; an oak on similar soils would take a couple centuries to add as much wood. 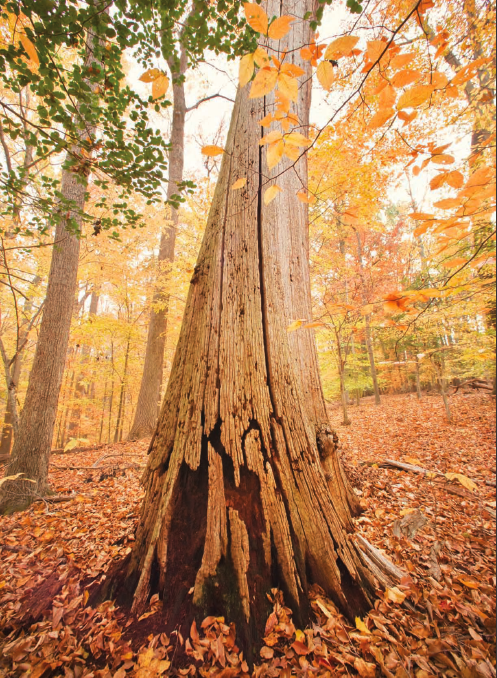 “By the time a white oak acorn has made a baseball bat, the chestnut stump has made a railroad tie,” one advocate boasted. A mature chestnut’s sweet, carroty-tasting nuts—as many as 6,000 from a single tree — were nearly a perfect food for both settlers and their livestock, as well as an array of wildlife from turkeys to bears. They are high in fiber, vitamin C, protein, and carbohydrates, and low in fat. Their profusion of bloom supported honeybees and other pollinators. And because chestnuts blossom relatively late, their nut crop was never hit by the late frosts that often diminish the mast of oaks and hickories. The Romans ranked chestnuts alongside the olive tree and the grapevine as plants important to civilization. 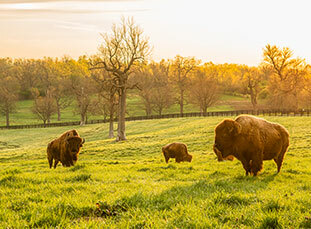 More than a thousand place names that contain the word chestnut remain today throughout the Appalachians, which were the heart of the species’ range. “Chestnut brown was considered the most beautiful shade of a woman’s hair, and the man who had a chestnut beard was usually considered handsome… silks and satins were available in chestnut brown,” wrote 101-year-old Georgia Miller of Pennsylvania a few years ago, recalling her childhood in chestnut forests. 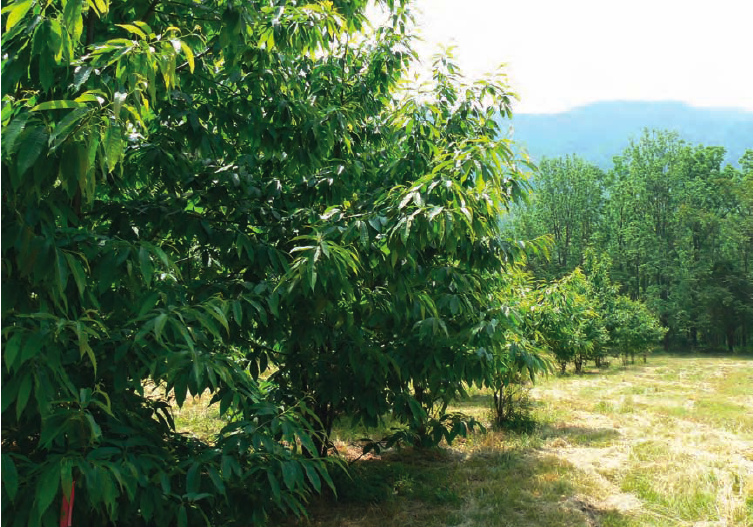 By 1989 the American Chestnut Foundation had secured farmland to begin its research and breeding program at the southern end of the Shenandoah Valley in the small town of Meadowview, Virginia. Complementary programs would be added throughout the historic range of the chestnut as the foundation’s state chapters grew to include 15 states. The process of tree breeding is not given to “eureka” breakthroughs. With the chestnuts, it meant carefully selecting parent stock (cloned offspring of the USDA’s Clapper tree were among the first generation), then laboriously hand-pollinating the trees, and bagging female flowers in plastic to keep out undesired pollen. Then breeders wait years for the offspring to grow, inoculate them with blight, and select as few as one out of every 150 trees that show the best resistance and most American-like growth habit. Then they do it all over again, generation after generation, hoping that genetic theory, forecasting a chestnut worthy of reintroduction after six crosses, corresponds to reality. Last year, Hebard challenged his first few sixth-generation “restoration” chestnuts by inoculating them with blight. He hit them hard with a massive dose, much more severe than they’d have received in nature, he says. He explains that such a dose probably would have killed even resistant Chinese chestnuts. “It was just a preliminary test, with no controls, not a scientific experiment,” he says. And before they died, the little chestnuts exhibited about the same response to the blight, forming only slight cankers, as he would have expected of naturally resistant Chinese chestnuts. In the next couple years, Hebard says, there will be larger-scale, more formal experiments testing the latest generation of trees’ resistance alongside Chinese chestnuts. Plans have already been laid to take the Meadowview program through another few generations of crossing to get an even better chestnut 20 years hence. “Meanwhile,” he says, “we’re going to plant. 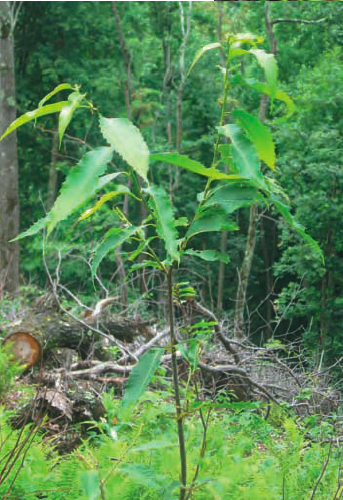 With the state chapters, we’ll put millions of these trees throughout their range.” They will go, Hebard says, on available lands in national forests, on private property, and also to reforest abandoned strip-mined sites across Appalachia in a partnership with the federal Office of Surface Mining. Hebard, now 61, says at best it will be decades before it’s clear how successful he has been. At the University of Maryland’s Biotechnology Center in Shadyside, virologist Donald Nuss has been dissecting the American strains of hypovirulence, trying to understand why they don’t spread as easily in the wild here as they do in Europe. His funding comes from the National Institutes of Health, which is interested in how viruses work; the chestnut hypovirulence is one of the easiest ways to study this, Nuss says. 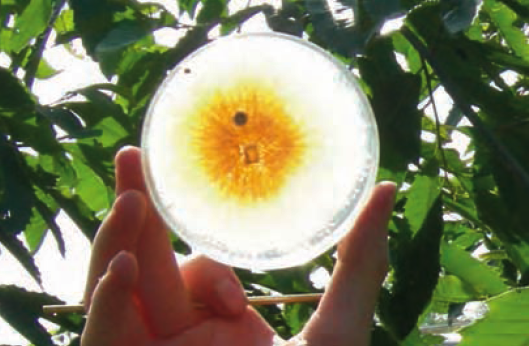 Nuss has cloned the hypovirulence and inserted it into a transgenic chestnut blight whose effects on trees are far less severe. So far, neither the hypovirulence or his transgenic blight seem able to spread efficiently on their own in the wild, which would be essential for becoming effective across the landscape. Scientists think the problems lie partly in the large number of strains in which both blight and hypovirulence occur. There is a lot of incompatibility, which retards spreading; also, European chestnuts probably have a little more natural resistance than American chestnuts, which allows the hypoviruses to work more easily there. The hypovirus here may make the blight too weak, so that it can’t spread in a less destructive form; in effect, vaccinating the chestnuts it encounters against the full-strength blight. Meanwhile, the original blight is able to remain dormant in dozens of non-chestnut tree species, from which it respreads by wind and by birds. Another hope lies with engineering a transgenic chestnut. A chestnut with a disease-resistant wheat gene has already been produced experimentally by researchers William Powell and Charles Maynard at the State University of New York’s Environmental Science and Forestry school in Syracuse. Powell says a $5.6-million project that includes sequencing all the genes in the chestnut is two years from completion. He expects that this will allow researchers to produce a chestnut that is pure American except for the addition of a few genes from the Chinese chestnut that confer disease-resistance. One of the funders of that project is Duke Energy, which is interested in the chestnut’s potential to reclaim coal-mining land, but also in its promise for sequestering carbon dioxide. A Purdue University study shows that the growth rate, size and longevity of chestnuts let them store more carbon, and at a faster rate, than any other hardwood. There’s also an ancient chestnut tree that Fred Hebard directs you to on your route home from Meadowview. The “Amherst tree” is so large, so gnarled with age, and so rare that, like a few dozen other long-surviving chestnuts, it has been named. Griffin, an emeritus professor of plant pathology, has been working since 1973 grafting tissue from old survivors (and younger ones that have made it to about 15 inches in diameter) onto American chestnut rootstock, crossing these to one another. There is plenty of evidence that genetic resistance to disease can be recovered by crossing even trees with relatively low resistance; but it is taking awhile — “We’re about halfway there,” he ventures. Just as the chestnut blight appears here to stay, so does the movement to restore the chestnut to its place in the forest. 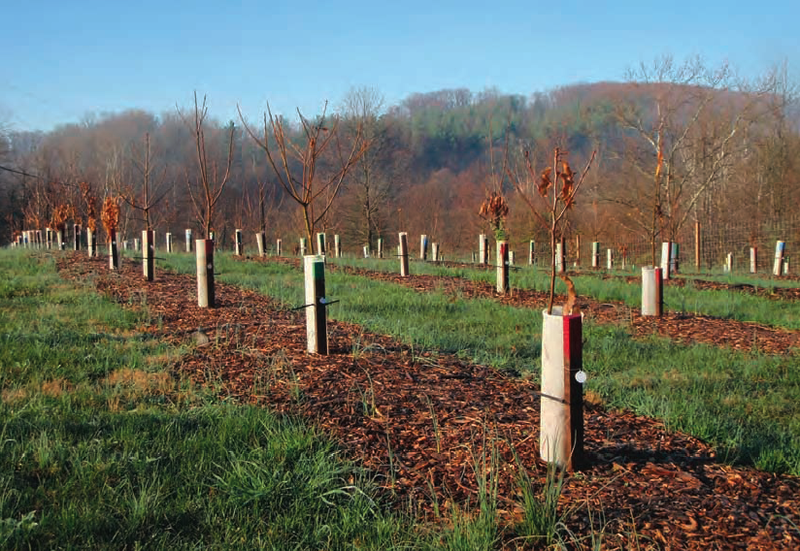 In Carroll County, Maryland, in partnership with the American Chestnut Foundation and American Forests, more than 18,000 school children each year participate in a science curriculum built around experimental chestnut orchards. Burnworth explains that American chestnuts have an extraordinary ability to “release,” or spurt toward the light when surrounding canopy trees die. Fred Hebard says he’s seen understory chestnuts only an inch in diameter that show 60 years of growth rings, followed by growth that approaches an inch a year after they get access to light. A project to spot chestnuts sprouting within sight of the Appalachian Trail has so far turned up more than 40,000, Burnworth says. Many clear-cuts literally explode with long-suppressed chestnuts racing for the light. All evidence is that if the blight can be overcome, the chestnut can outcompete most any other hardwood to become part of the forest canopy. “Maybe only yellow poplar, on excellent yellow poplar sites, might outgrow it,” says Kim Steiner. Fred Paillet, a University of Arkansas geoscientist who often writes on chestnuts, has taken the long view. He cites pollen profiles from North American lakes that show virtually all hemlocks simply vanished from the forests some 5,000 years ago — probably of a disease still unknown — and then reappeared throughout their range a few centuries later. 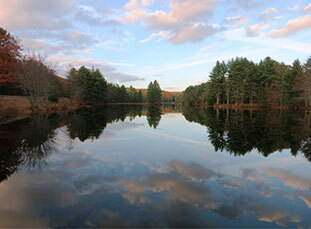 This article was published in the Winter 2010 issue of American Forests magazine. The profound impact forests had on one of America’s greatest authors and his writing. If trees could talk...a region's history as told by its ancient trees.